The Maranta family consists of 4 closely related plants. While often challenging to grow they are prized for their colorful foliage. Read on for more! 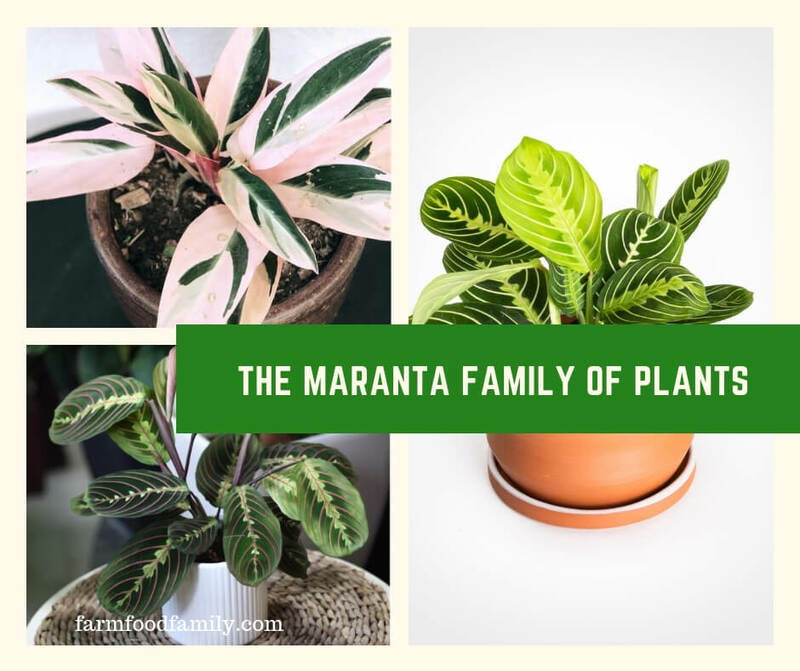 Maranta is actually the name given to a group of plants, which include Calathea, Ctenanthe, Stromanthe, and yes, the Maranta.. Of all of these, only Marantas and Calatheas are widely available and only Maranta is easy to grow. There are two types of Maranta. The first variety is also known as Prayer Plant or Rabbit’s Tracks. Both these names come from the plant’s appearance and habit-its bright green leaves sport brown patches that look like rabbit prints (These patches turn green as the plant ages) and they fold together at night, resembling a pair of hands folded in prayer. The second type is called Herringbone Plant. This variety is quite colorful with yellow centered deep green leaves, and bright red veins. Both varieties are fairly compact, growing to about 8 inches and sporting 6-inch leaves. Their needs are similar as well. Keep away from direct sunlight and drafts, provide average warmth, and make sure the soil stays moist at all times. Regular misting is also important. Calatheas are not as easy to grow as Marantas. There are several varieties, all sporting vividly marked leaves. It’s this showy foliage that attracts houseplant lovers to this plant, but they are often disappointed. Few homes can provide the conditions needed for this plant to thrive. Calatheas will not tolerate temps below 60 degrees and need high humidity. Failure to provide this will result in dry, curled up leaves. They do best in a terrarium or heated greenhouse. Ctenanthe and Stromanthe are not widely available and for good reason. They are extremely difficult to grow unless you can provide constant temps of 65 degrees or above and moist tropical air. They don’t tolerate cold temps, drafts, being watered with cold water, repotting, or hard water. These plants are best left to botanical gardens and atriums. Brown, Dried Leaf Tips- This is a sign that the humidity is too low. Mist regularly and place on a humidity tray. Curled Up/Yellow Leaves– This is a sign of underwatering. Marantas should never be allowed to dry out between waterings. Faded/Discolored Leaves– Too much sun! Move immediately or the plant will die. Don’t be afraid to pick up a Maranta. They are not for beginners but given the right care can be rewarding and generally easy to grow. Since they require added humidity and must be kept moist at all times, they will require more work and attention than most houseplants. Calatheas on the other hand are to be avoided unless you have a terrarium. In that case, they will add color and interest to your bottle garden!